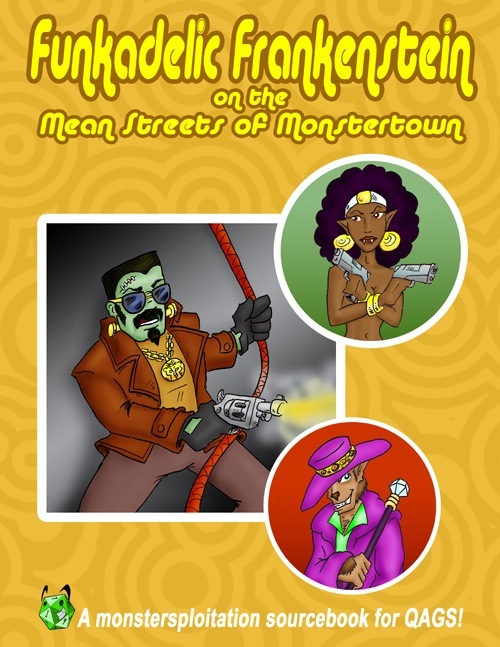 I recorded a one-shot I ran of Hex Games' "Monstersploitation" game Funkadelic Frankenstein on the Mean Streets of Monstertown and thought I'd share it with you. Howdy, folks! I've recorded a message for you! The Great Debate! WILL return. 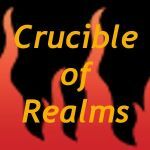 In the mean time, here's my new podcast: Crucible of Realms. Feel free to check it out! Rob & the guys from The Bear Swarm! The book I mentioned in the outro is called Abduction Etiquette, and is now in pre-order - feel free to check it out! Is it better to use a pre-existing setting or one that's home-brewed? Our resident demonologist and a lunk-headed superhero load up their intellectual artillery on the subject and fire it at one another. Episode XLVIII - Do PCs Come in Six-Packs? Is it a good idea for GMs to pregenerate PCs for their campaigns? A clone and a college professor talk about it. Episode XLVII - Is It a Race or Is It a Species? Which genre offers a better choice of playable creatures? Fantasy or Science Fiction? A spaceship pilot and a dwarven skyship engineer attempt to discuss the matter - hopefully without getting into a dogfight! A recording of myself running a quick game of ACTION CASTLE for some bored folks at Dragon*Con who were waiting for a panel to start. How important is having a background story for your campaign? A bounty hunter and a cleric sit down and chat amenably about the subject. I didn't get to go to GenCon and decided to record a chat about it! I commiserated with three other folks (Kim, Jason and Kent) who also didn't get to go this year. Fair warning: we rambled for about half an hour! For full show notes, go here. Is it a good idea to bring an old PC into a new game? A cyber-hacker and a government agent delve into what it means to transfer your character. 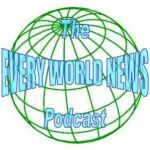 Intro by Katharina of the Every Photo Tells podcast. Are house rules the way to go when running an RPG or are they a bad idea? A pirate and a futuristic military grunt take each other to task on the issue. Is it a good idea to adapt an RPG from another source, such as a series of novels? Our two undead panelists ponder the pros and cons of adaptation. Announcement: Go check out the 2010 Podcast Listener Survey! Is planar travel cool and exciting or is it just a tool to help the Game Master mess with the players? A college professor and a dwarf engineer debate the subject. Listen in as an old feud between two fantasy characters comes burbling to the surface. A wizard and a cleric face off to discuss which kind of power is better: Arcane or Divine? Is the guy who always knows the rules a help or a nuisance? A samurai and a superhero talk about the place of rules lawyers in RPGs. Is it a good idea to rotate Game Masters in an ongoing campaign? Listen in as preacher and a hacker toss the issue back and forth between them like a rag doll! Episode XXXVIII - Are You Ever Going To Role Play That Flaw? Advantages & Disadvantages. Merits & Flaws. Edges & Hindrances. Are they helpful to a game? A vampire and a college professor debate the pros and cons. There will be a slight delay as I deal with Christmahannukwanzaayuladanivus, after which there will be more debates forthcoming! Is it a bad thing for player characters to kill or should it be perfectly acceptable? An archwizard and a superhero take up arms over the issue. What dangers lurk beneath the waves? And what the heck is an aspidochelone? Our intrepid panelists -- a pirate captain and a cleric -- slyly skirt around these questions and many more about underwater adventures! Episode XXXIV - Module or Mind Control? Are pre-written adventures a useful tool or do they do nothing but force PCs down a pre-determined track? A college professor and a government agent tackle the issue of who's really in the driver's seat when modules come into play. The character suggestion contest is over. Thanks very much for your entries! I announce the winner after the debate. Is trying to make a character as powerful as possible a good thing or a bad thing? A wizard and a bounty hunter flex their intellectual muscles over the subject. Only one day left for the character suggestion contest - it ends November 5th! E-mail your suggestion for a new Great Debate character to debategreat@gmail.com and write CONTEST ENTRY in the subject line. The winner will receive a personalized outgoing greeting for use with their voicemail! Are good and evil absolutes for your PCs or do your characters see things in shades of grey? A superhero and a pirate tackle the issue of anti-heroes in RPGs. Just one week to go on the character suggestion contest! E-mail your suggestion for a new Great Debate character to debategreat@gmail.com and write CONTEST ENTRY in the subject line. The winner will receive a personalized outgoing greeting for use with their voicemail! Episode XXXI - War! Now in Barbecue Flavor! The idea of warfare as a theme in RPGs is kicked about, pummeled and salivated over by our panelists. A cleric and a fighter pilot wage war over the concept of waging war. E-mail your suggestion for a new Great Debate character to debategreat@gmail.com and write CONTEST ENTRY in the subject line. The winner will receive a personalized outgoing greeting for use with their voicemail! Our resident bounty hunter clashes with our resident cyber-hacker over the issue of animals in role-playing games. What's the best way to use them, if at all? Some like to search every nook and cranny of a room and strip-search every fallen foe while others prefer to just move on. A pirate and a demonologist talk about the practice of looting in RPGs! Here's a shorter version of the Captain Payne Promo -- it's the end section, in which he addresses the listener, by itself -- should anyone need something a bit more brief. Ever have your PCs dumped in the ancient past or a far-flung future? Can that kind of thing even fit into a game? Two panelists from opposite ends of the historical spectrum discuss the use of time travel in a role-playing game. Episode XXIV - MacGuffins Half Off! Are magic items a good thing for a role-playing game or are they just a nuisance? A college professor and an elf mull it over. Episode XXIII - Money! Beautiful Money! Our panelists -- a superhero and a cyber hacker -- discuss the use of money in RPGs. But can they avoid selling out? Episode XXII - Are You Necro-Friendly? Is it a good idea to have a necromancer player character? A bounty hunter and an undead wizard who happens to specialize in that very field have a lively discussion about it. Episode XXI - Who's In Charge Here? In some games the Game Master has absolute control, but in others players chime and add to the plot whenever they feel like it. A vampire and a cleric discuss the finer points of player narration -- hopefully without killing each other. Is it a good idea to play something other than a human in an RPG? A monster-hunting priest and an elven wizard throw down over the issue of nonhuman player characters. Here is the second promo for The Great Debate! to reflect the new web address! As always, feel free to distribute it as far and wide as you desire! Should poison be allowed on either side of a role-playing game? A pirate and a government agent wrestle with the issue. Episode XVIII - I'll Fight You For It! Taste the adrenaline in the air as a samurai and a college professor do battle over the merits of combat in role-playing games. Who will survive?! Ryan Macklin - This Just In... From Gencon! How many out of character considerations should be allowed to influence your role-playing, if any? And what kind? Two monster hunters duke it out over the issue. Episode XVI - Fight the Powers? What's the best approach to the use of powers that set your PCs aside from everyone else? Two powerful beings clash haphazardly over the issue of special abilities in RPGs. This episode discusses railroading in RPGs. One panelist is from feudal Japan, the other is from a dystopian future and it's likely neither one has ever seen a train before. Let's hope they grasp the metaphor! What should your character receive more experience points for? Combat or role-playing? A college professor and a necromancer attempt to have an earnest discussion about it. Do you like campaigns set in one area or do you prefer to globe-trot? A well-traveled pirate and a reclusive cyber hacker discuss it. Episode XII - What's All This, Then? Do town guards, police officers or government agents help your adventuring party or are they nothing but a nuisance? On this episode we talk about the use of authority figures in games. Which genre makes for a better campaign setting? Fantasy or Science Fiction? PCs from each of the two clash over the issue. A cleric and an anthropology professor duke it out over the value of having a pantheon of deities in a role-playing game. Are they there to watch over your PCs or to drive them stark-raving mad? Is it a good idea to run a game with undead PCs or NPCs? A vampire and a bounty hunter go head-to-head on the topic. Episode VIII - Eutopia or Dystopia? Which vision of the future is more fun to play your sci-fi campaign in? Two realities collide when a cyber-hacker and an ace starship pilot get together to talk about it. Does playing without dice help a game or hinder it? Our guests debate the merits of diceless role-playing games. Episode VI - Stop Him Before He Role-Plays Again! To role-play or not to role-play? Listen in as two immortal beings clash over the subject. Is it okay to fudge the rules sometimes? We threw a pirate and a samurai into a room together to have a nice, calm conversation about it. Is it better to build a great conversationalist or a heavy hitter? Our panelists go at it over the best method to build a player character. A superhero squares off with a Wild West bounty hunter. The topic: the use of shape-changing villains in RPGs. Music for this episode includes excerpt from "Pennsylvania Rose" by Kevin MacLeod (incompetech.com). The first episode of The Great Debate! It's the pirate vs the elf as we debate the merits of fear effects in games. Be afraid. This is the third and final short I recorded for the Player's Handbook 2 release on D&D Game Day. My intention was to set the situation for each of the sketches in three of the most "cliche" locations for an adventuring party to meet: at an adventurer's guild, at an inn, and in a dungeon cell. All three of these shorts played on War Pig Radio on that day and I remember desperately trying to bulldoze my way through them to get them all done in the week leading up to it. Harrowing, but lots of fun! Behold the archive for episodes of The Great Debate! Downloadable episodes are coming soon!